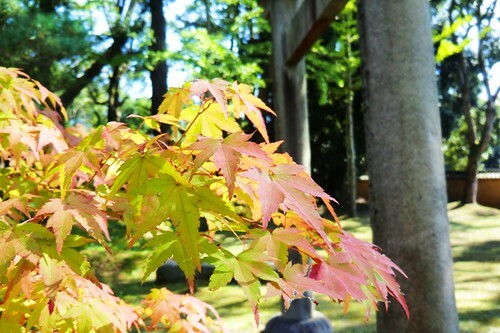 This photograph was taken at the end of October, this little tree was very quick to change colors! In the background you can see the stone torii (archway along the path to a Shinto shrine) of Kusho Myoshin Shrine. 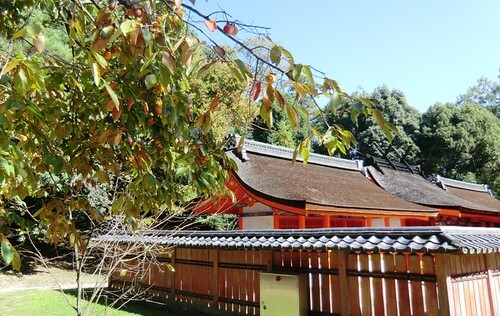 Many Buddhist temples have small Shinto shrines within the temple grounds, Kusho Myoshin Shrine is Ninna-ji’s tutelary shrine. 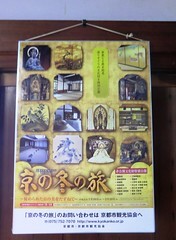 When you visit the temple you’ll find Kusho Myoshin Shrine near the Five-Storied Pagoda and the Sutra Hall. 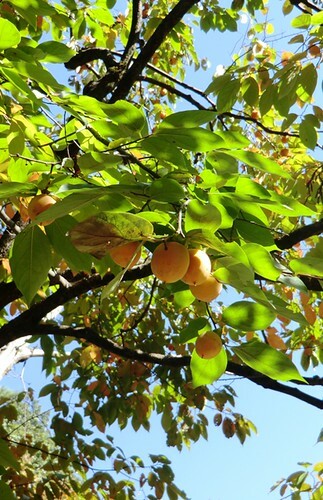 Although Ninna-ji is famous for its cherry blossoms, the fall foliage is very beautiful as well!